It can be tempting sometimes, in the lure of making money, for companies to operate in this way. However, it doesn’t help anyone. Companies operating like this gain an unfair advantage which in turn applies pressure to companies trying to operate legitimately to lower their standards in face of such unfair competition for fear of facing extinction. Oaklands Assist is an unusual case insofar as their first mistake was failing to respond to a letter they received from the ICO. That’s not something that you see very often. The ICO then, frustrated, sent Oaklands Assist an Information Notice. Understand that at that stage you’ve just stuck two fingers up at a government organisation with a lot of money and resources behind it. If you ever find yourself in a similar situation, recognise that you are on ’the back foot’ and whatever you respond with at this stage had better be good. Oaklands Assist did respond to the Information Notice, but in a manner that had ”please throw the book at me” written all over it. When you’re up against the ICO, you should know what you’re up against. There is an entire network of organisations working together with the ICO to collect and exchange information. Every month the ICO meets with organisations like the Direct Marketing Association (DMA), BT, the Claims Management Regulator (CMU), OFCOM, Citizens Advice Bureau, the Phone-paid Services Authority (PSA), Trading Standards and many other organisations to discuss and exchange information about the sales and marketing calls being made by companies. This means that, as in the case of Oaklands Asist, if you don’t offer up the information on (for example) your calls then the ICO will go directly to your telecoms provider and get it. If the telecoms provider doesn’t co-operate fully, then the ICO, together with OFCOM in this case, will make them. It seems, Oaklands Assist was set up to make as much money as quickly as possible, with minimum effort, ignoring all the rules and simply operated without caution or restraint. “Companies that operate in this way are causing distress and offence to huge numbers of people who just don’t want these calls. Our advice for organisations is quite clear: they must not call people registered on the TPS and, where we see this happening, we will investigate and take enforcement action where necessary. So in short, Oaklands Assist UK Ltd popped up, broke all the rules and then probably expected to disappear into the night. However, there might be a catch to that plan. Watch out for the catch though…. Once a company has been dissolved at Companies House that’s pretty much the end of the matter. However, when Companies House proposes to strike off a company and dissolve it they notify a number of organisations the purpose being that they then have an opportunity to object to the company being dissolved. Keeping the company alive allows for action in all its forms to continue. 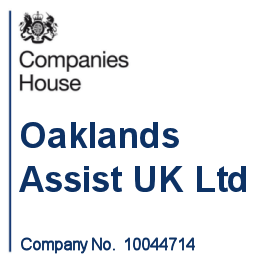 Oaklands Assist UK Ltd is in just such a position. Although Companies House will not tell you who objected to the company being struck off, the ICO are one such organisation and so it’s quite possible that it is them who may keeping the company alive which will in turn force the company to continue filing Accounts and Confirmation Statements, the failure of which would see them as being banned as directors. It might also force the company to liquidate the business properly rather than allowing Companies House to strike it off, but in doing so the ICO are likely to take over the liquidation and force an enquiry upon the directors. Believe us when we say that if you get yourself into this kind of situation, it’s doesn’t get any better for a long time with the ICO crawling all over your case!